a) That the petitioner/accused shall be released on bail in the event of his arrest on his executing a bond for sum of Rs 10,000, along with two sureties each for the like sum to the satisfaction of the judicial magistrate, Jayankondam . b) That after his release, the petitioner shall remove 100 seemai karuvel trees within 20 days in his Marungur village and shall obtain a certificate from the village administrative officer towards compliance and file the same before this court on the 21st day from the date of his release on bail failing which the anticipatory bail granted to the petitioner shall be cancelled under due process of law. In the event of non-availability of any seemai karuvel trees in his village, the petitioner shall remove from the nearby Village and obtain the certificate from that village administrative officer concerned and submit through his counsel. It is also made clear that the petitioner shall not make any namesake removal of small-sized seemai karuvel trees and instead they shall be of large size, which are occupying considerable area. c) That the petitioner shall also enclose necessary photographs towards the removal of the trees. A copy of this order is directed to be sent to the tahsildar concerned and the village administrative officer for monitoring the process of removal of seemai karuvel trees as stated above. Any deviation of this order would be viewed seriously. The police has registered a case against the accused in crime No.27/2017 for the alleged offences 294(b) (uttering obscene words), 323 (causing hurt), 354 (A) (making sexual remarks) and 506(ii) of IPC. Apprehending arrest, the accused moved the Sessions Court for anticipatory bail. The petitioner/accused contended that he was no way connected with the crime and a false case has been foisted on him. The investigation in this case is completed. The injured person has been discharged from the hospital. Hence, he prayed for grant of advance bail. The Sessions Court allowed the anticipatory bail, considering the facts that the injured person has been discharged from the hospital and the investigation is substantially completed. “However considering the gravity of the offence and the need of care for the society and to protect the environment, and in obedience to the orders of Hon’ble High Court, this court is inclined to impose the conditions,” the order stated. Recently Madurai Bench of the Madras High Court directed the government that it should work towards the complete eradication of the seemai karuvel trees. 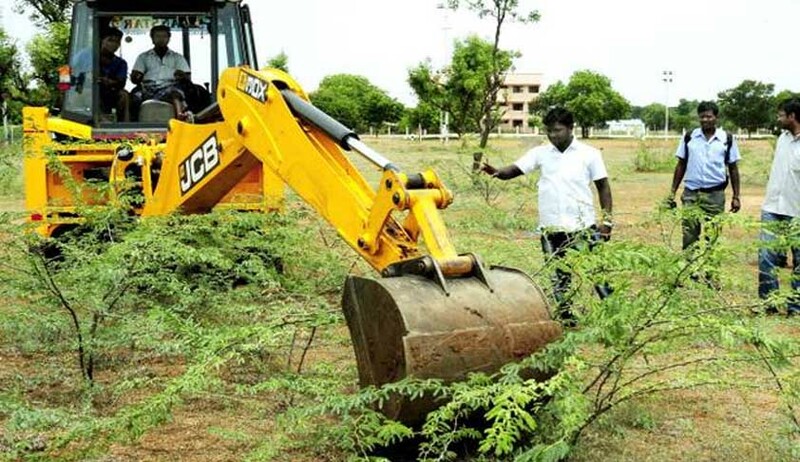 The bench also directed the state government to bring an Act with Prohibitory and Penal clauses to eradicate seemai karuvelam (Prosopis Juliflora) trees within two months. According to reports Karuvelam tree absorbs more than four litres of water to obtain one kilogram of biomass. It cannot even shelter birds as it produces less oxygen and more carbon dioxide. If it does not have sufficient water it begins absorbing groundwater. And if there is no groundwater, it starts absorbing humidity from the surroundings. It can also turn the groundwater poisonous.